Malta’s southern coast is formed of a great mass of seaboard cliffs – an almost unbroken sheer cliff wall stretching from near Birzebbuga up to Fomm ir-Rih and beyond. Here and there a breach in the cliffs provides for a small settlement to crop up, normally one originating as a fishermen’s community. 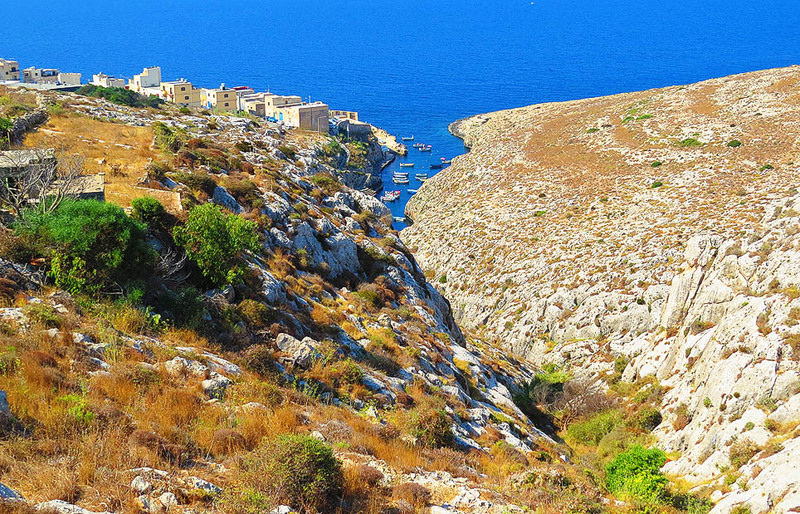 Wied iz-Zurrieq was once such a place; a small fishing hamlet centred round a deep narrow inlet in the cliffs and reached by a steep and winding road backed by the sloping cliffs. The advent of tourism changed all that and most of the fishermen are now restaurant or souvenir shop owners. This may sound like a sad development but the place has an infectious holiday air about it which is hard to resist. 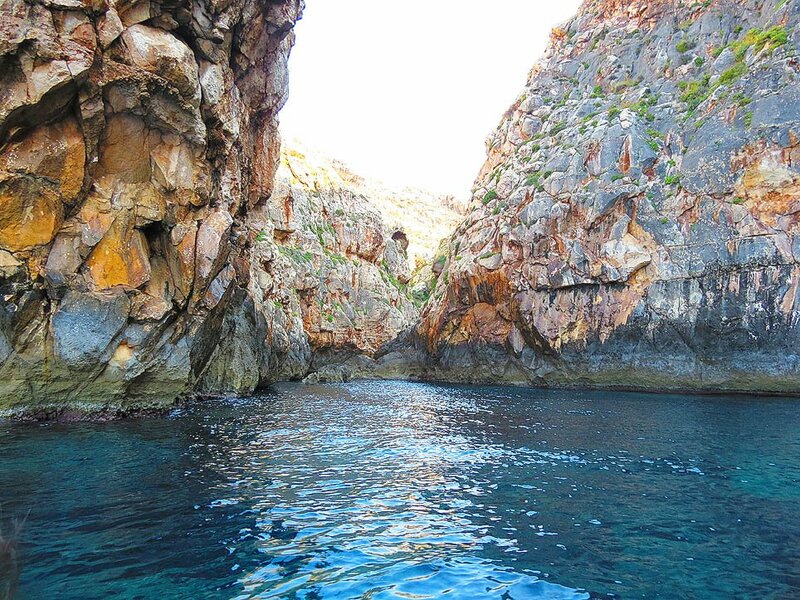 Wied iz-Zurrieq and the nearby Blue Grotto are favourite haunts for divers. The sea here is almost spotlessly clean and the dives range from easy ones hugging the coast to deeper sea exploration further out. The Umm El Faroud dive site is located between here and the islet of Filfla, this is a Libyan tanker which had a tragic end at Malta Drydocks some years back and is now home to a variety of fish. 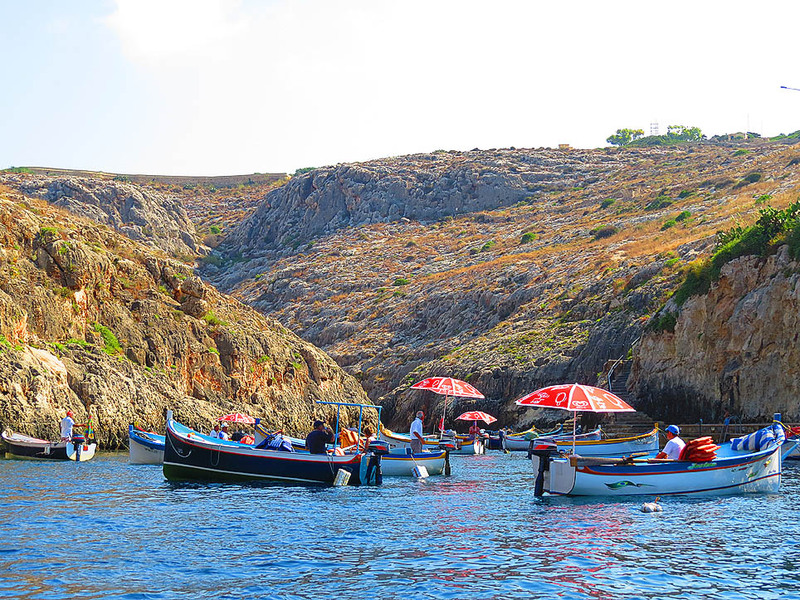 Wied iz-Zurrieq is also popular as a swimming spot for locals from nearby localities. Some will spend whole days here in midsummer, rounding the day with a meal from one of the community’s several restaurants. Tourists may find swimming among the boats coming and going somewhat strange, but resisting the sea’s call will be a struggle in the hotter months. The restaurants here offer mostly simple fare – and naturally there’s a focus on seafood. Fresh fish in season is the best choice: tuna, swordfish, dolphin fish (more commonly known as lampuka in Maltese) and octopus will feature on most menus at the appropriate time. 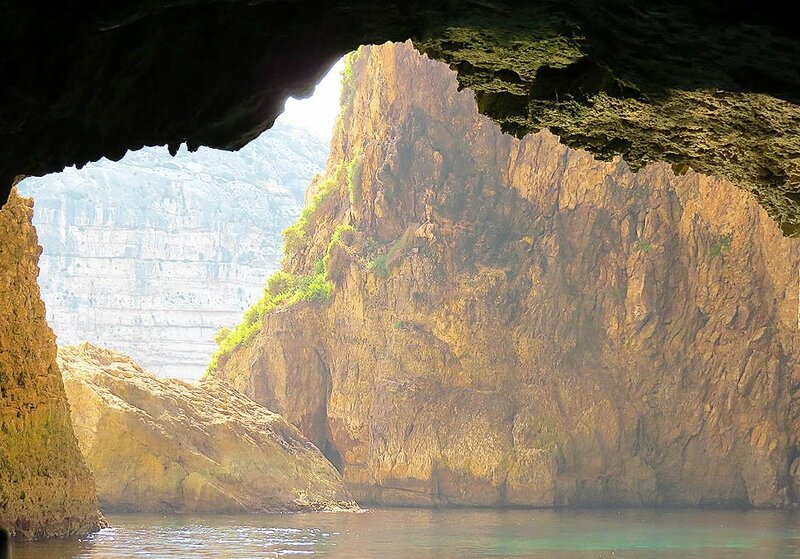 But the main reason visitors flock to this hamlet are the popular boat trips to the Blue Grotto. The trips are a mere 25 minutes long and there is a steady stream of boats doing the round so waiting time is normally very short. The cost is a standard €8 for adults with half that for children. The boat trip doesn’t disappoint. In two short minutes one is transported from the busy cove to a world of sheer overhanging cliffs and a sea with a multitude of shades of the most glorious blue. There’s a succession of some half a dozen caves with the Blue Grotto being the highest and most impressive. One is easily mesmerized by the ever-changing scenery and the temptation to jump off the boat to savour the luscious sea can be almost irresistible. But don’t do that – the boatman will probably not like it. Wied iz-Zurrieq is reached by Bus No 201 which runs hourly from Malta International Airport to Rabat and vice versa. In summer Bus no 71 from Valletta to Zurrieq extends its run to Wied iz-Zurrieq once every hour. to a gym at Zabbar some three times every week. the locals at the docks. Yes I love Malta – great place to live! 1 Pings/Trackbacks for "The Glorious Blue"